How does the Spirit relate to the Bible? Whatever our background, we tend to fall back on untested prejudices or worry about unexamined doubts. This careful biblical argument, drawing mainly from John's gospel, helps us to see the answers to these questions in a firmly Trinitarian understanding. 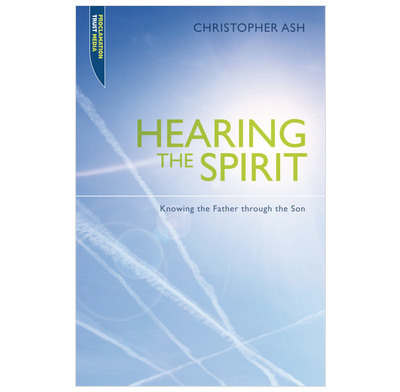 Hearing the Spirit is the way we know the father through the Spirit. By asking where the Bible fits in this process, this helps us listen more deeply to the words of God. Each chapter has study questions for individual or group use. We are using this book in a small study group. We have spent time on the introduction and the first chapter and I believe that we have progressed our understanding of the Spirit. A local preacher who is normally part of the group has not been able to join to date but has commented that "it is good". This was a compelling read, so much so that I've read the book 3 times in the last year! The book provides a clear and very logical understanding of how the Holy Spirit relates to the Bible and what the key role of the Holy Spirit is.